IEEE 802.11a/g Wireless LAN Adapter A is a Network Adapters device. This Windows driver was developed by Qualcomm Atheros Communications Inc.. PCI/VEN_168C&DEV_001B&SUBSYS_134F10CF is the matching hardware id of this device. 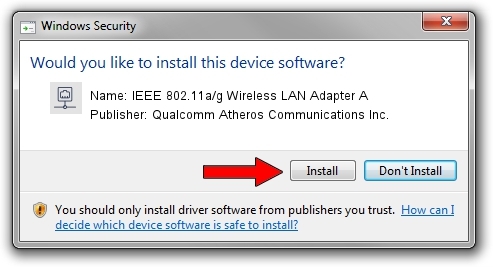 You can download from the link below the driver setup file for the Qualcomm Atheros Communications Inc. IEEE 802.11a/g Wireless LAN Adapter A driver. The archive contains version 10.0.0.222 released on 2012-12-20 of the driver. This driver was rated with an average of 3.1 stars by 86537 users. The most important advantage of using DriverMax is that it will setup the driver for you in the easiest possible way and it will keep each driver up to date, not just this one. How can you install a driver using DriverMax? Let's follow a few steps! 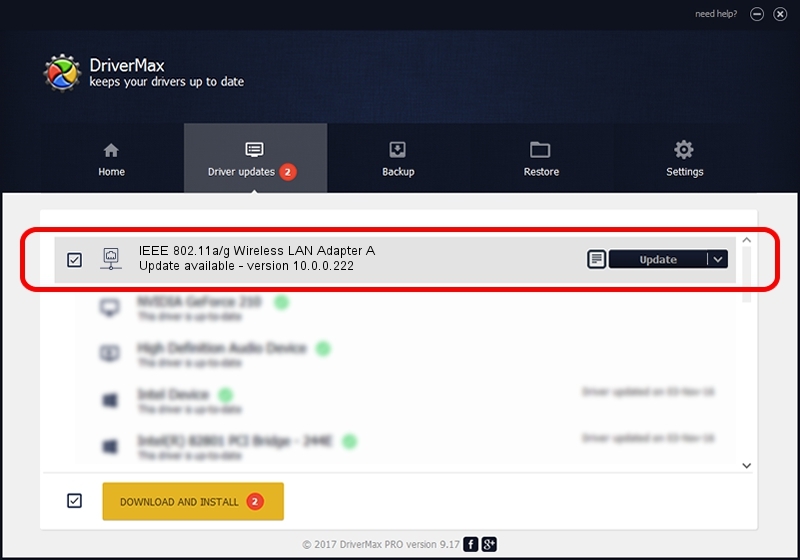 Start DriverMax and push on the yellow button that says ~SCAN FOR DRIVER UPDATES NOW~. Wait for DriverMax to scan and analyze each driver on your PC. Take a look at the list of detected driver updates. Scroll the list down until you locate the Qualcomm Atheros Communications Inc. IEEE 802.11a/g Wireless LAN Adapter A driver. Click the Update button.